LOLA’s is a unique bakery dedicated to achieving one simple goal. Every day, they handcraft the most delicious cupcakes, slices, and celebration cakes you have ever tasted. Using only the finest ingredients LOLA’s bakers mix, bake, and decorate every single cake by hand, giving their customers a fresh, fun, delicious, and truly wholesome experience. And now you can try their wonderful handcrafted bakes at home. 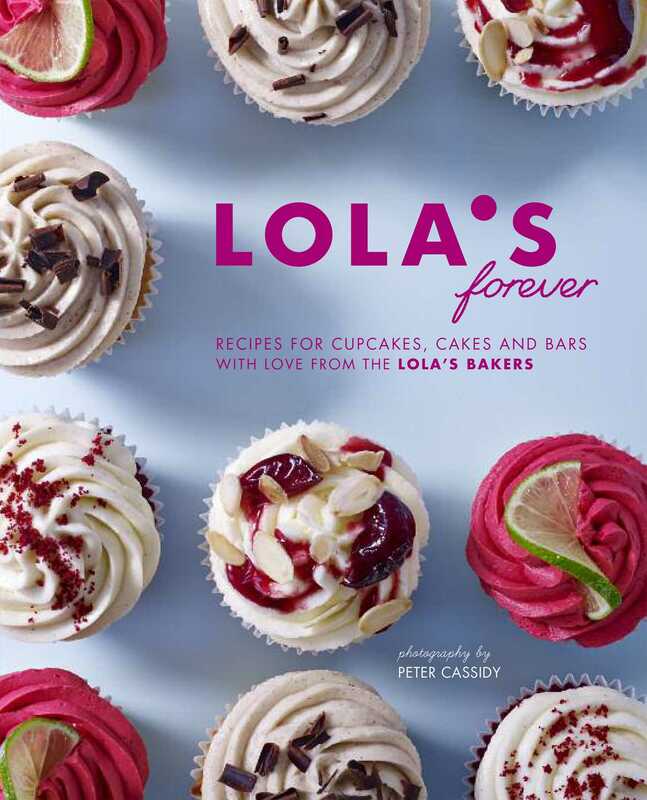 There are more than 70 mouth-watering recipes for everything from the LOLA classic flavors (including Vanilla, Banana, Red Velvet, and Rocky Road) to deliciously original ideas like Cosmopolitan, Chocolate Chili, Maple Syrup, and Pistachio Rose. Also included are recipes for scrumptious bars and slices—try a Salted Caramel Brownie or an Apricot and Pistachio Flapjack—or delicious larger bakes, such as the sophisticated Chocolate and Mandarin Cake, Earl Grey Tea Fruit Loaf, and Chocolate Fudge Cake. LOLA’s cakes are created by Asher Budwig and his team of highly creative bakers. He is a fourth-generation baker, born into a family of sweet-toothed entrepreneurs and inspired by his family’s enduring passion for cake. Asher grew up watching his father Mario Budwig establish and run the hugely successful Millie’s Cookies chain, which grew to over 100 stores across the UK. Mario in turn was inspired by his mother and grandmother, who ran a pâtisserie and café from the 1940s in Colombia, South America.